You are in for a treat today! Literally. I am sharing it today with a twist. Peppermint. Tomorrow we have our first family Christmas party of the season and I made these for dessert to share. I can hardly stand to wait. Yum! Imagine these on your holiday dessert table with these great choices from Red Envelope. This holiday I am collaborating with Red Envelope to bring you some special holiday treats. 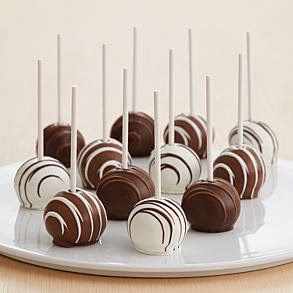 These are their Handmade Swizzled Cake Pops. 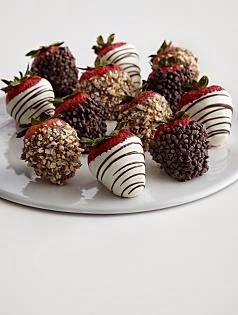 Or these beautiful Gourmet Dipped Fancy Berries. 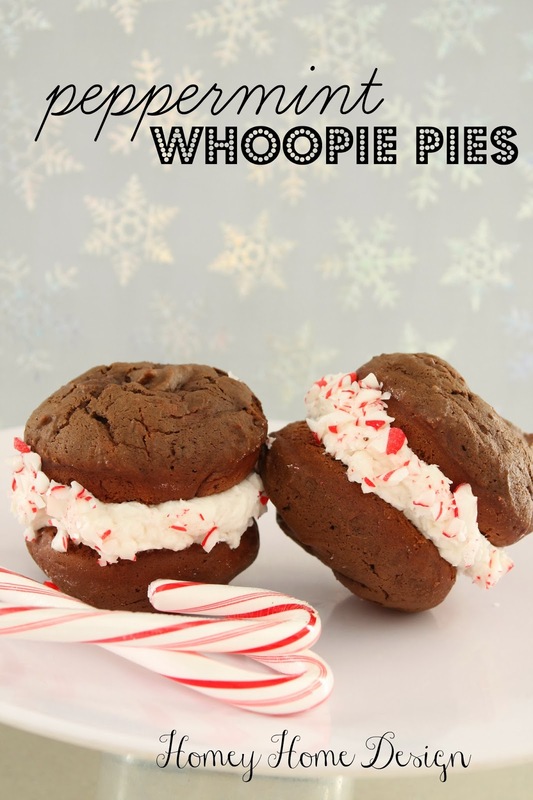 My Whoopie Pies are a recipe from the Lancaster County Amish. They know how to bake! This is also where I was born, so maybe that's why they are near and dear to my heart er, tummy. Then add 2 teaspoons baking soda to 1 scant cup of hot water. Add your dry ingredients to your shortening/sugar/egg/milk mixture, and mix it all well. Lastly add your soda water and combine it all together. When its all mixed together it looks like fluffy cake batter. To make your pies you can use a whoopie pie pan or put parchment paper on a cookie sheet. Bake them in a preheated oven to 400 degrees for about 8-9 minutes. Beat 2 egg whites to stiff peaks and set aside. Beat til smooth. Mixture will be thick. Then fold in your egg whites. You don't want to over-mix this, just enough to get it all combined. Using a spatula or knife spread frosting thickly on the bottom of one pie and add a top. Roll the edges in crushed candy canes if you like. Whoopie pies can be wrapped individually or stacked on a platter. Refrigerate if you are preparing these ahead.